Due to large crowds from the holiday Gingerbread House in the lobby of Disney’s Grand Floridian Resort & Spa, the Princess Promenade has been canceled temporarily. The Princess Promenade is a special experience that was added back in 2016 as a Magical Moment for guests. 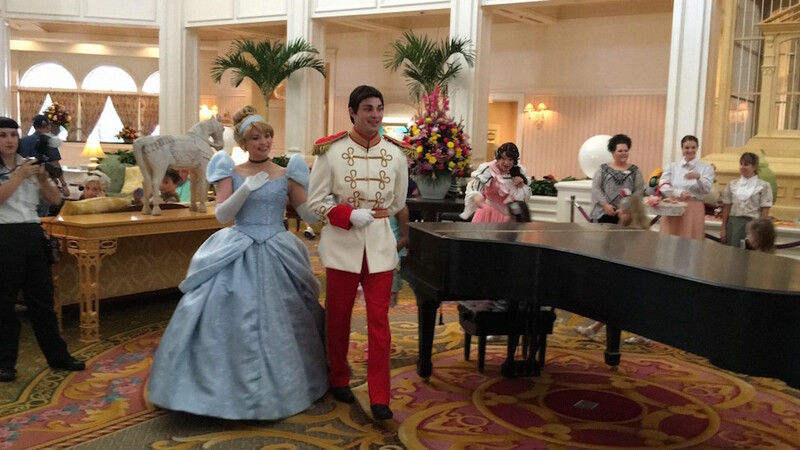 Around 3:30 each afternoon, Cinderella and Prince Charming descend the Grand staircase in the resort’s gorgeous lobby and proceed dance together while guests are welcome to join in. Look for this lovely experience to resume on Tuesday, January 2, 2018.